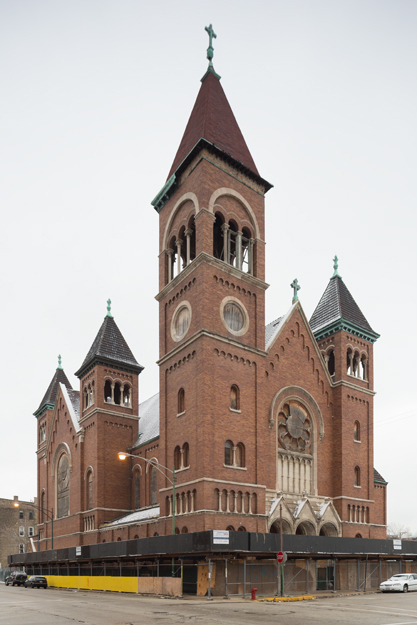 The Saint Boniface Church property has been the subject of preservation initiatives for more than a decade [pdf]. While other buildings on the property have been demolished since the church's closing, it was considered a preservation success thanks to a redevelopment plan that protected the church. New financing troubles have made the future of the church uncertain, and the building could be demolished by the end of January. Visit www.saintbonifaceinfo.com for more information about the church, its redevelopment and the preservation initiative.